The 2014 Chevrolet Express Van was designed with one purpose in mind: moving stuff. Be it a van-load of weary travelers heading to their hotel, or a bay full of holiday deliveries, the Express Van can handle the job with ease. With 285 cubic feet of space, the Express van can handle numerous packages or carry up to 15 passengers. Our vehicle is a 12 passenger van with a split bench in the back that allows half of the rear seat to be removed for extra storage while still seating 10. This was a selling point for us. The van is fine overall, but it has been nonstop cosmetic repairs - new window latches, seatbelts that weren't properly installed and come loose from the frame, dashboard chargers that stop working intermittently, slider that won't close properly. All of these things have been fixed, some under warranty, but some costing thousands. I would not recommend the vehicle to anyone. We call it the silver beast because of its size and available space. 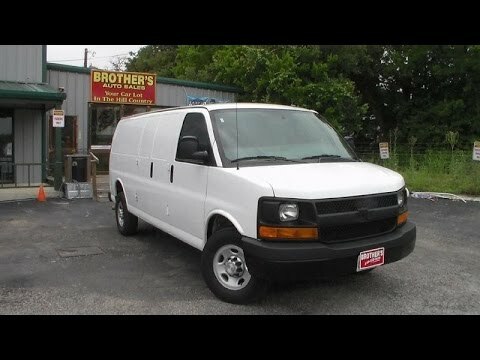 I drive a Chevrolet express van that has been converted to conversion van by Explorer. I love the space it allows my children to have without the fight. I can stand up without having to be crouched down. It has leather seats and entertainment package (32 in. TV with Blu-ray player). We have taken road trips in it and it has performed great. drive is smooth. This car is a phenomenal option for larger families. I currently drive a 2014 Chrysler express 12 passenger van. I like that there's enough room for our family of 10 to sit, including 4 car seats, but wish the cargo space was a little bit wider. I also wish we would have bought the 4 Wheel Drive version as winters in Northeast Ohio can be treacherous driving.